AT&T’s prepaid brand Cricket Wireless added a new device to it’s entry-level phone lineup recently. The new LG harmony is a rather inexpensive, lower level version of the K20 which will be great for anyone looking for an everyday phone for basic activities. Prepaid fees can be a little confusing sometimes; mostly because not every carrier charges the same ones. In fact, a few carriers add fees to the advertised price. AT&T’s Cricket Wireless is one of the MVNOs which doesn’t actually include fees in its advertised price and, unfortunately, it looks like some of those fees will soon be increasing. The prepaid price war continues this month with Cricket Wireless, AT&T’s prepaid MVNO brand, slashing the price of its top-tier plan from $70 to $60. This comes only a month after Cricket added data to the non-unlimited plans and a couple weeks after announcing it would be offering better streaming options to save data. Today, we’ll look at Ultra Mobile and Cricket Wireless. 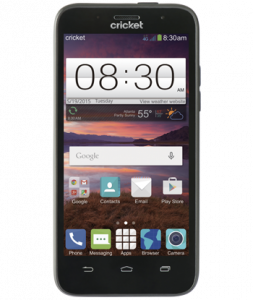 Cricket is one of AT&T’s prepaid brands, while Ultra is an international calling-centric T-Mobile MVNO. 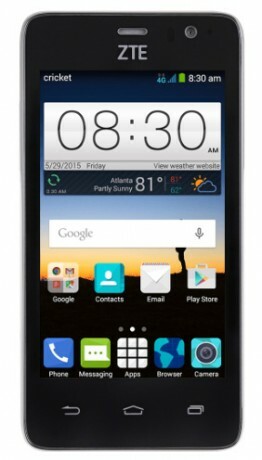 Cricket Wireless, one of AT&T’s prepaid brands, has launched a new promotion for free or deeply discounted devices. 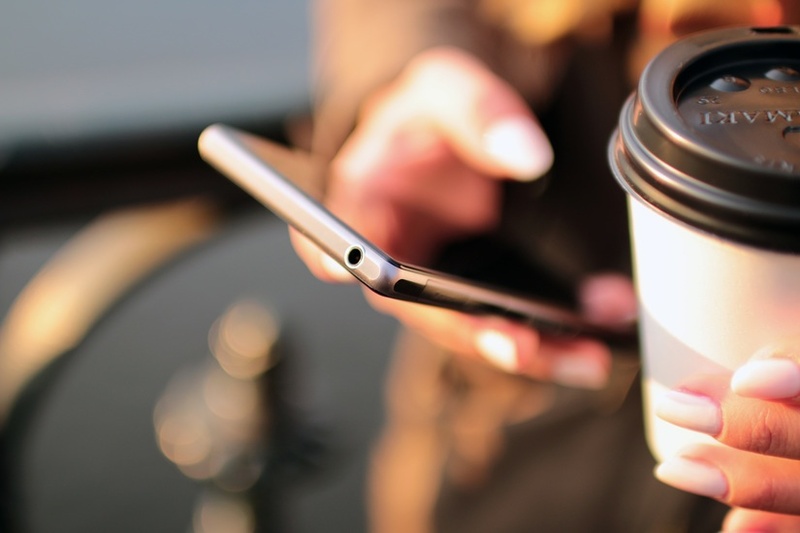 While this is aimed primarily at new customers, customers who are upgrading or activating a new line can also get discounts, making this promotion more versatile than others. 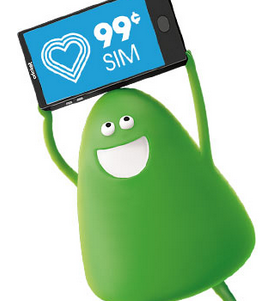 Cricket Wireless, AT&T’s prepaid MVNO, has recently made some changes to its plan lineup. And, I’m happy to report, the changes are both immediate and for the better. As of right now, Cricket has increased the data on its $40, $50, and $60 monthly plans. And, while it’s nice, it’s not as competitive as I’d like. 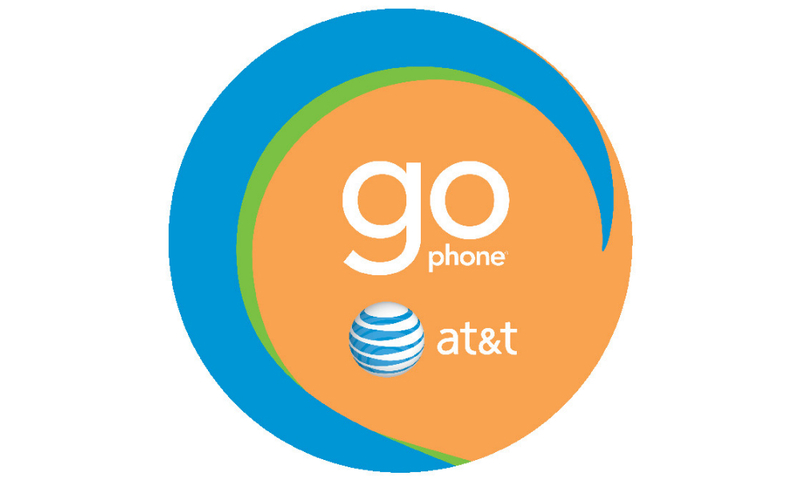 Today, we’ll look at AT&T’s GoPhone and Cricket Wireless. These are two companies owned by AT&T and operating on its network, and they’re said to have the best value of prepaid companies on AT&T’s network, so I thought we could put them head to head. It seems that Cricket has more options available, and can appeal to the high and low data user, while GoPhone has fewer options with strange data allotments. AT&T purchased Leap Wireless in March 2014, and since the rebranding to Cricket Wireless, the company has expanded exponentially. After the grand opening of the Cricket Wireless store in Portland, Maine last week, Cricket now officially has a physical location in all 50 states and the District of Columbia. It looks like Cricket’s previous holiday promotion has already come to an end. Not to worry, though, AT&T owned Cricket Wireless quickly added a new promotion to fill its shoes. From now through January 5, available only online, new customers activating a line with Cricket will have 3 smartphones available at a discounted rate. AT&T announced a while back that it would be deactivating its 2G network on December 31, 2016 and the date is fast approaching. According to AT&T, the outdated network has very few phones which are still using solely the network and the costs of continuing to maintain it are not worth the benefits, especially with the 5G network expected to launch in 2017. AT&T’s Cricket Wireless recently launched DirecTV Now plans on its network. AT&T debuted DirecTV Now on November 28, and availability on the prepaid brand quickly followed. To advertise the new service, Cricket is offering two promotions. AT&T’s prepaid carrier Cricket Wireless has always offered some pretty fantastic family plans, where visitors can save additional money with each new plan. In fact, when adding up to five lines, you can save up to $100. However, until now, adding or porting over multiple lines has been a bit complicated. This November, Cricket introduced its holiday promotions for the year. “The merrier carrier” is offering new customers two smartphones for free, and two at a discounted rates when they activate on Cricket’s services. Cricket, an AT&T MVNO, refuses to be slip to the back of anyone’s mind, and has decided to add a new basic plan for a lower price. With the new $30 phone plan, Cricket has pricing that will stay neck-in-neck with other MVNO competitors. 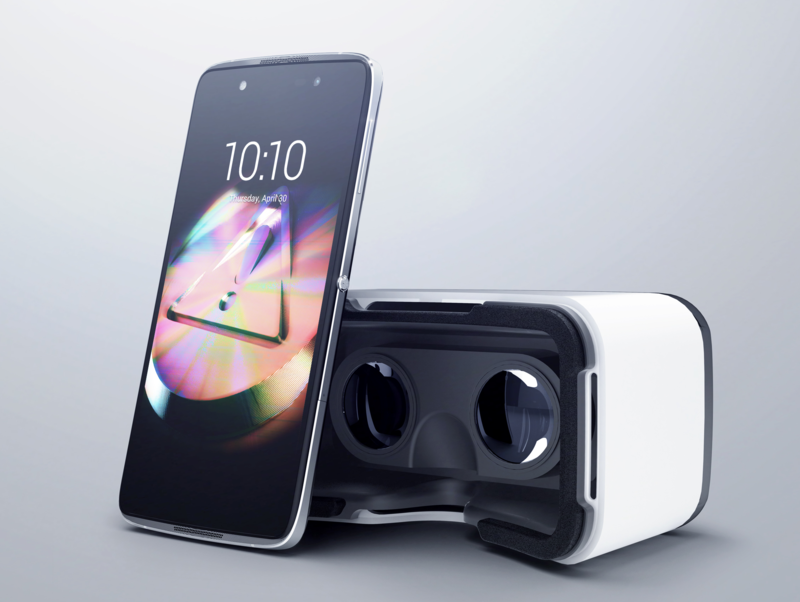 Cricket, an AT&T MVNO, is exclusively selling the very first Android smartphone to come equipped with virtual reality (VR) goggles. The Alcatel IDOL 4 hit stores early this month, after much anticipation. One of the biggest complaints people have with their smartphones, whether they use Android or Apple, is battery life. Sometimes it doesn’t even make it through the day, or maybe it just slowly drains, and you get less and less juice from it. 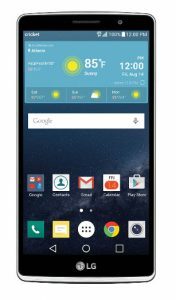 Well, Cricket Wireless has teamed up with LG to release a new smartphone which may solve that problem. 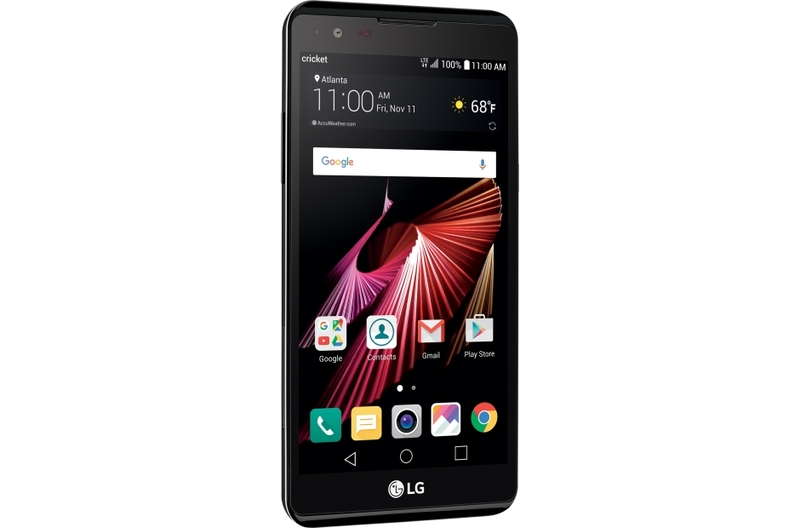 It is called the LG X Power, and some of the features involved are impressive for the price. When AT&T purchased Cricket Wireless last May, it announced that it would eventually be shutting down the legacy CDMA network and transferring everything over to AT&T’s GSM network instead. And, according to Fierce Wireless, the official shutdown date is Tuesday, September 15, 2015. We’ve all done it. You’re trying to juggle one too many things when suddenly your phone slips out of your hand, or somehow slides off of a hard surface to fall crashing to the pavement or splash in the pool or the toilet (eww). If you have Cricket’s protection program, then you haven’t got anything to worry about. Didn’t sign up for it when you bought your phone? No problem. Cricket Wireless has announced a handful of deals aimed at customers looking for a new handset to go with their prepaid wireless plan. Not only is this AT&T brand offering discounts on a variety of phones (some as low as $19.99) but it will also be exclusively offering the HTC Desire 520 to customers. AT&T’s Cricket Wireless has been making small changes to its international options over the course of the last few months, first adding additional countries and then roaming in Mexico. Yesterday, the prepaid company finally announced roaming in Canada as well as nine additional countries for its international add-ons. Smartphones are incredibly expensive nowadays, with some flagships running upwards of $700 new and off-contract. However, if you’re looking for a good smartphone that can do the basics and get you through the day, then you do still have some options. 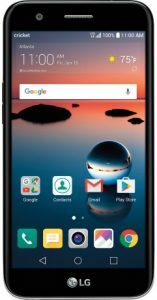 Today, I’ve put together of five of the best phones that AT&T’s prepaid brand Cricket has to offer for less than $100. They aren’t in any particular order, but are all pretty solid choices, depending on what you prefer in a smartphone. Big phones are all the craze now, but there aren’t really all that many large form devices for the prepaid market. 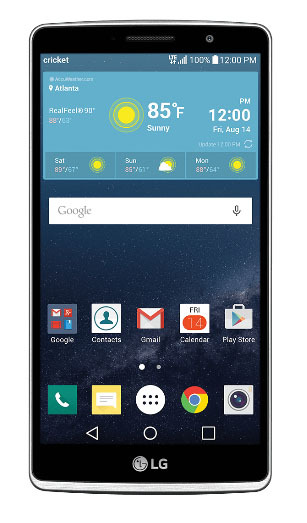 However, if you’re in the market for a phablet, then the 5.7 inch LG G Stylo might just be up your alley. As the name suggests, the phone itself has a hidden stylus which slides in the phone and LG’s signature back buttons for navigation. Seems like an odd combo, but as a fan of LG’s back buttons I think it could be pretty comfortable. Unlike some competitors, Cricket Wireless blocks all Cricket mobile devices from being used as a hotspot. However, Prepaid Phone News reported on Wednesday that Cricket might soon be allowing consumers to use their phone’s hotspot capabilities as part of a $10 add-on. In the last year or so, AT&T’s prepaid brand Cricket Wireless has been expanding and reaching out to additional customers with offerings in various retail stores as well as deals with GameStop. Well, this week the prepaid company continued this trend with the announcement that Cricket phones and services will soon be sold in select Meijer stores around the country. 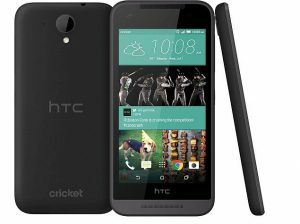 AT&T prepaid subsidiary Cricket Wireless recently added a new phone to its lineup, but I’m not even sure that it’s much worth mentioning. The ZTE Sonata 2 is a mildly under-powered entry-level device designed for people who want a smartphone, but don’t really care much about the quality. Running Android Kitkat 4.4 with a tiny battery this phone will be great for light users. AT&T’s prepaid brand Cricket Wireless has slashed the prices on several of its more popular phones this month in an attempt to boost phone sales. There doesn’t seem to be a specific end date for these promotions; presumably they will remain reduced until inventory levels are depleted. Cricket Wireless has announced an expansion of its international calling options with the addition of four new countries and a new international calling option. New countries added include Brazil, Singapore and Nigeria as well as Cuba, which is part of its own Cuba International add-on. Unlike with postpaid contracts, there are far more prepaid companies than you could shake a stick at and all of them have both good and bad qualities. So, every once in a while we’re going to go through and do a Face-off of two groups, examining how they relate and which is better at what things. Today, we’re going to look at Cricket Wireless and Virgin Mobile. Both companies are actually owned by one of the Big Four and share customer service with those companies. Let’s take a look at how they match up! 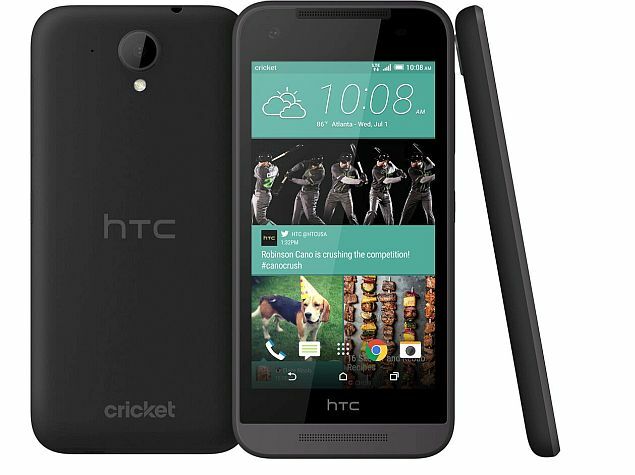 AT&T prepaid brand Cricket Wireless has added a new phone to its lineup this week. While normally I would say that the ZTE Overture 2 isn’t really anything to get super excited about, this upgraded handset is one of the lowest-priced Android Lollipop phones I’ve seen yet, and the specs aren’t half bad. Normally, T-Mobile is the one who is always having $1 SIM sales, but it looks like Cricket has taken a page out of the Uncarrier’s book and has been offering $1 SIMs to customers who are interested in porting to Cricket. You might recall that this deal originally launched in April and was set to expire at the end of the month. Well, it looks like it’s been pretty popular as Cricket has extended it through July 9, 2015. 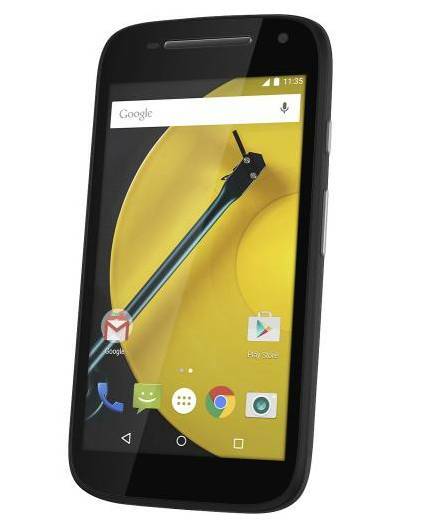 Cricket Wireless has added a new phone to its prepaid lineup with, ironically, zero fanfare. 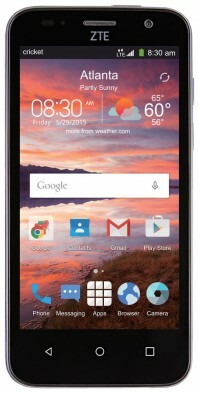 The ZTE Fanfare is available through Walmart stores nationwide for about $70 and while the technical specifications of this phone aren’t the greatest, it would be an excellent basic phone for light users or anyone looking to venture into the smartphone market. 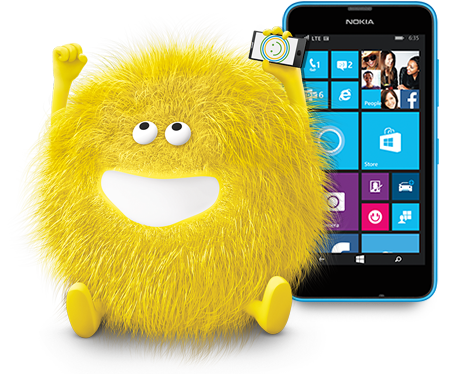 Cricket Wireless, the AT&T-owned prepaid company, announced yesterday that it will be adding yet another Windows phone to its prepaid phone line up. 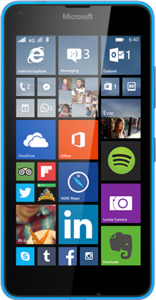 The Lumia 640 is a 4G LTE-ready phone that is aimed at mid-range users and boasts a pretty decent camera for the price as well as several other free add-ons when you purchase it new. Cricket Wireless, an AT&T-owned prepaid brand, absolutely loves its mail-in rebates. So, of course, this month the company has a new promotion aimed at customers porting into Cricket Wireless. And, of course, it involves a mail-in rebate. The good news? It’s actually pretty cheap and after the rebate, almost completely free. The trend of including unlimited or low-price international calling with higher-priced plans continues this week with Cricket Wireless. This AT&T prepaid brand quietly made a change to its $50 and $60 monthly plans to include unlimited calls, texts and MMS messages to most of Canada. 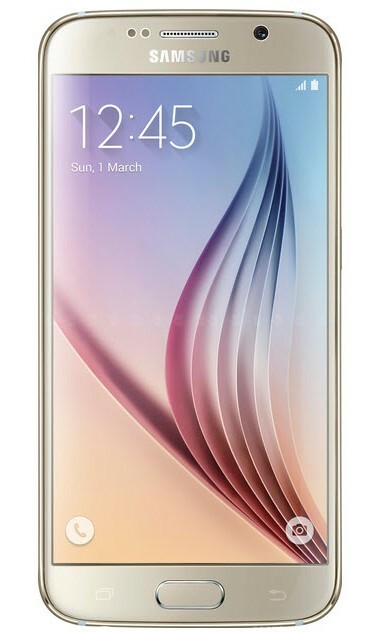 Cricket Wireless, AT&T’s prepaid brand, has finally announced an official date for offering Samsung’s newest flagship, the Galaxy S6. Starting on April 24, customers will be able purchase the smartphone in Cricket stores and online. The phone itself has already been available at Boost Mobile stores since last week, but I suppose late is better than never. Cricket Wireless, the AT&T-owned prepaid brand, doesn’t really have all that many options in its phone lineup, especially when compared to other MVNOs. 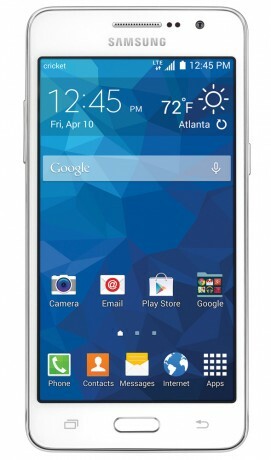 But, it looks like Cricket is adding another Samsung device to that lineup: the Samsung Galaxy Grand Prime. 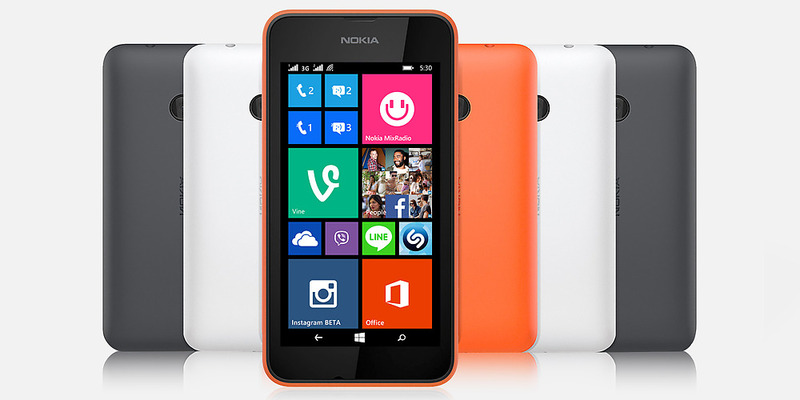 This budget-friendly smartphone boasts a higher resolution front camera designed with selfie enthusiasts in mind. On Wednesday, Cricket Wireless announced that it has partnered with a credit financing company to offer its customers the option of financing their expensive phones through a third party. There are three different options for financing, two of which involve a credit check. The financing must be done at a brick and mortar Cricket Wireless store and is not available online. AT&T has launched a new sale for its prepaid brand Cricket Wireless. No doubt to help encourage CDMA customers to migrate before the network shutdown as well as compete with T-Mobile’s $1 SIM sale, Cricket has slashed the prices of its SIM cards from $10 to $1. This sale is expected to continue through the month of April. Cricket Wireless, an AT&T owned MVNO launched a really great promotional plan a few months ago for customers who are looking for a lot of high speed data for not a lot of dough. But, this promotional plan is scheduled to end on April 9, 2015, so customers who are wanting to be grandfathered need to get in on it this week. Since AT&T formally took over Cricket Wireless, there have been several changes that have slowly brought this company to the forefront. Originally marketed only for old people, Cricket has expanded to be sold at Walmart and GameStop locations nationwide. Starting immediately, customers can now purchase Cricket services via Amazon as well. AT&T’s prepaid brand Cricket Wireless announced today that it will be carrying the new 4G LTE version of the Moto E starting this Friday, March 13. This phone will be the first Lollipop device that Cricket will carry and it should be available both online and in stores. While the Moto E is still an entry-level device, this phone is still a pretty good deal for the expected price point.